Every home has a story to tell of human endeavor, love and tragedy. A home is a special place in which families grow and children flourish. It is important to collect those memories from the past. Most of the steps required to research the history of a home are the same wherever you live and this website covers the general principles. However some of the terms used and research establishments in the U.S are different and so some of the key issues are set out here. 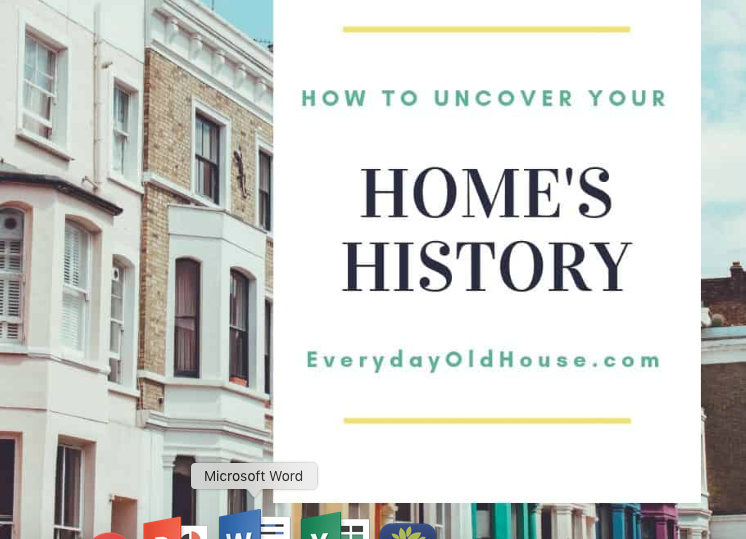 So why trace the history of your house? House research is detective work. If you have traced your families origins then you will have some idea about the journey you will be taking and the type of documents you will be investigating. Some people only want to know the age of their house and perhaps who built it. Others go further and want to know who lived in it and how it evolved over time. Whether it's your house, your ancestors or a house you are interested in this site will guide you through the resources available to you. Lets get going...........what information do you have already? The chain of title Is the list of people who have owned the house - details of which can be found in the deeds. The deeds are the proof of property ownership and contain information about the owners and sometimes maps of the plot. It is a legal document required to be completed at each transfer of the property so it is vital to locate these. These can usually be found in the Register of Deeds office at the Historical Society, or sometimes they are available on microfilm or even on line. From these build the chain of title or ownership history starting from the current owner. These deeds will list the grantee, grantor, legal description,date and amount paid. This will give you information about the owners and is a good start but to find out more we need to consult other documents. If you have a Abstract of Title you can skip searching for deeds at least up and until the date of the Abstract. Retracing the Trails of Your Ancestors Using Deed Records by William Dollarhide provides good advice. Building permits often provide information on the homes type of structure, details of when and how it was built with notes about the architect as well as the owner. Sometimes these are filed by address, but can be found in a chronological order and this can make it difficult to find the appropriate ones. They are to be found at the city or county planning or zoning office or sometimes county offices. Mechanics Liens are designed to ensure that a contractor is properly compensated for work that has been carried out on a house. Liens list the names of the owners and the contractor and a detailed description of the work with estimates. These can be found in clerk of the recorder of deeds in the county office where the home is located. In the US the value of properties are assed annually to determine the rate of taxation which is used to support the community's annual budget. 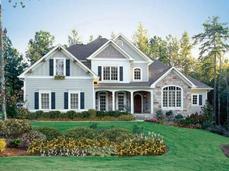 Sometimes the assessors are known as listers or property appraiser. The information is kept on a Tax History Card which contains a brief description of the building, details of previous owners, date built and date of deeds. A sudden jump in valuation might indicate a that the house has been demolished and new construction replaces it or an addition had been added. County Government Property Appraisal web sites hold a wealth of information about the sales history of your home and those homes around you. Digital Sanborn Map Collection In 1867, the Sanborn Map Company of Pelham, New York, produced a collection of maps of American cities and towns to aid fire insurance companies in their assessment of properties. Many of these relate to commercial properties or fire prone areas of some towns but they will mention houses in the vicinity. Directories provide information about who lived in your house but also by looking at street lists you can see how the neighborhood was set out. Old phone books can also be helpful for tracing people who have lived in your house. The local library or heritage centre is the best place to start although there are some links on line. Bear in mind that street names and numbering can change so keep a note of surrounding properties or landmarks as you read from year to year. Also you must take care when noting the date of the information you glean form directories as there could easily be a two year delay between gathering the information and publishing it or indeed in listing any changes that might occur. A street directory is a finding aid and very useful particularly in helping to locate people in the census but it must be treated with caution if you are looking for residents and assume an event occured +/- 2 years either side of the publication. The Historic Buildings survey (HABS) which was started in 1936 and is still in progress could provide useful information. 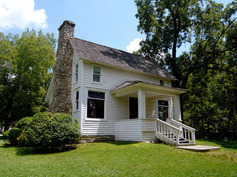 The surveys can be examined by State, County and Municipality.Information to be found consists of historic name, description of the building, a statement setting out why the building was chosen to be of architectural or historic merit as well as its overall condition. Local libraries and record offices contain many maps which might be helpful in locating your house. Some of the most common can be found in the large scale Plat Books some of which date back to the 19th century.Maps help you see changes to the district as well as perhaps your plot before the house was built. Newspapers may help you find information that relates to the planning of the house or any addition that has been made but unless it is a famous house it will not feature very much - if at all . The real benefit from newspapers is in finding our more about its residents through obituaries, wedding or birth notices as well as news stories. Estate records relate to the individual estate after they have died. If the person dies without a will (intestate) the courts will require an inventory of the deceased's possessions which can be very useful for house historians. Check with the Clerk of the District Court for more information on how to locate these. The David Rumsey Map Collection (free) extensive online collection of historical atlases, maps, and other antique cartographic material. Downloads available. The Library of Congress American Memory Collection (free) cities and towns, conservation and environment, cultural landscapes, discovery and exploration, general maps, military battles and campaigns, and transportation and communication. As with the UK a Census is taken every 10 years but the earliest was taken in 1790 although they are most useful since the 1850 set. It provides information about occupiers where they came from, how many children they had, the value of the property, and more. Census records can usually be found at libraries and archives. ​There are many paid and subscription sites. ​some may be subscription some like Find My Past have many free records to look up. Complete Census Records. Exclusive 1841-1911 Census Records. Complete Person and Address Search. OUR ADVERTISING POLICY - This website is not funded by National lottery or any other form of award and is run voluntarily to provide information to those who want to trace the history of their house. We would like to say thank you to all those who have or will in future click on the advertisements they find on this page. We know they can be a nuisance or distraction and we try to make sure that they are relevant to the information we provide and our readers. However the modest income we receive from them keep the web site going. So thank you.